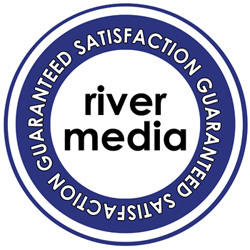 Industry standard design - River Media high quality! The 'Maxi' case is the classic CD single case design, the type favoured by record label mass single releases. The slim line design, like the super slim cases, has holder for a front insert only. However unlike the other single cases the insert wraps around the spine. There is also a small compact disc logo located on the centre spider.